Fall in Maryland, D.C. and Virginia is a great time for cozy sweaters, bonfires and scenic foliage walks. But along with the treats of Autumn comes the trick of keeping your gutters free from falling leaves, acorns and other debris. your ceiling. And a heavy clogged gutter can pull away from the roof and damage your roofing system. 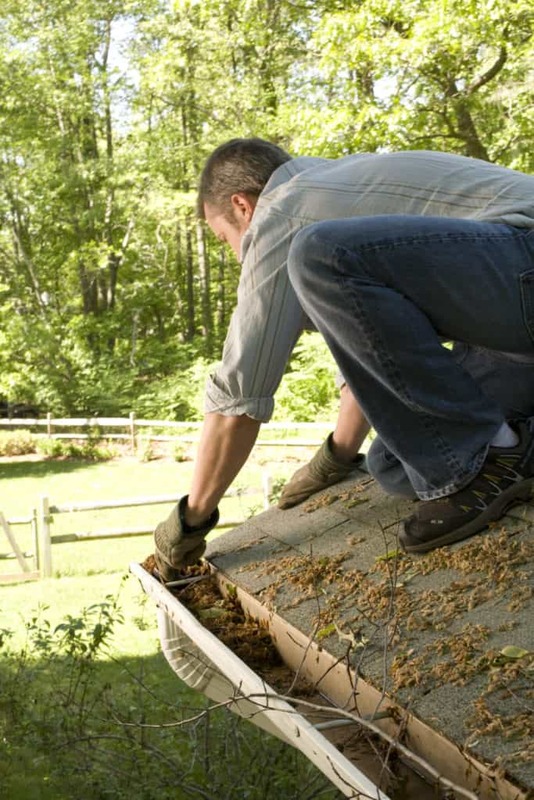 If your home doesn’t have a clog-free gutter system you face an uphill climb- right up a ladder. According to the National Safety Council, falls were the leading cause of nonfatal injuries for all age groups, except for 15-24-year-olds. The NSC says thousands of people are injured or killed due to falls from a ladder or scaffolding at work. Choose the right ladder for the job. Ladders are made differently for indoor and outdoor uses. If you are cleaning out your home’s gutters make sure your ladder is rated for outside. Pick the right height. Size a ladder for your job that will not require you to stand higher than the third rung from the top. Reposition the ladder as you go. It is important you don’t lean to the left or the right to reach different portions of your gutter. You will need to climb down and reposition the ladder for each section of the gutter you can safely reach. Pick a calm day. Don’t clean your gutters in windy or inclement weather. Evaluate your surroundings. Before you hoist your ladder to the side of your home check for overhead power lines or tree branches. Check for sturdy ground. Put the ladder base on a solid surface so it doesn’t slide or slip when you are on it. Replacing your old gutters with a low-maintenance clog-free gutter system means you will never again have to risk injury climbing to your home’s roof. 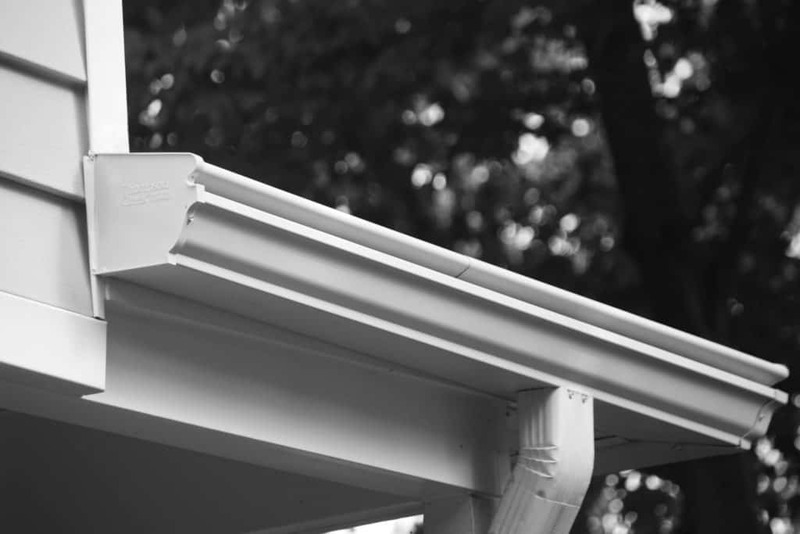 The Thompson Creek replacement gutter system include unique gutter hoods to filter leaves and debris away from your gutters. And the system never pulls away from your home. The Thompson Creek gutter replacement system comes in an array of colors so you will never have to paint them. 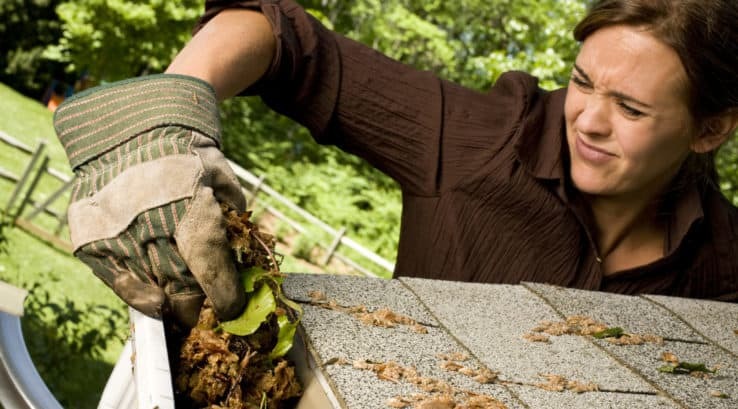 This season you can “leaf” your gutters to the Thompson Creek professionals to install a clog free gutter system and eliminate your seasonal gutter maintenance forever. This fall keep the ladder in the garage and leave the falling to the leaves.